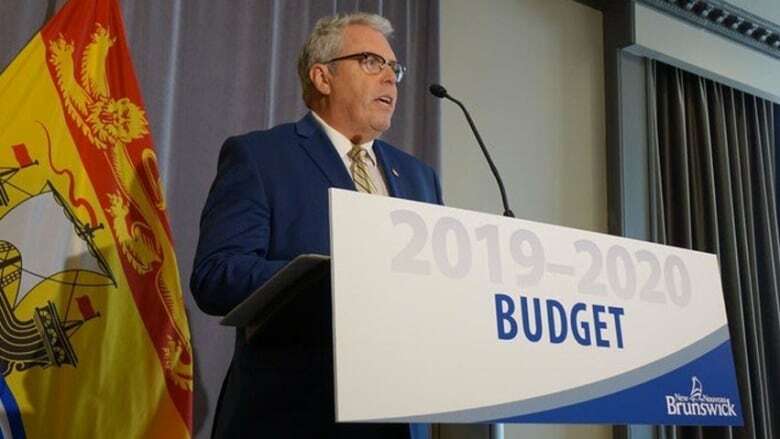 Ottawa was not getting a lot of credit in New Brunswick Finance Minister Ernie Steeves' budget speech on Tuesday, but budget documents made it clear a surge in federal equalization is ultimately what made balancing the province's books possible. Ottawa was not getting a lot of credit in New Brunswick Finance Minister Ernie Steeves's budget speech on Tuesday, but it's clear from budget documents that a surge in federal equalization is ultimately what made balancing the province's books possible. "Yes transfers help, absolutely," Steeves said to reporters when asked about the role Ottawa has played in getting New Brunswick's books balanced this year. "It's certainly part of the equation." 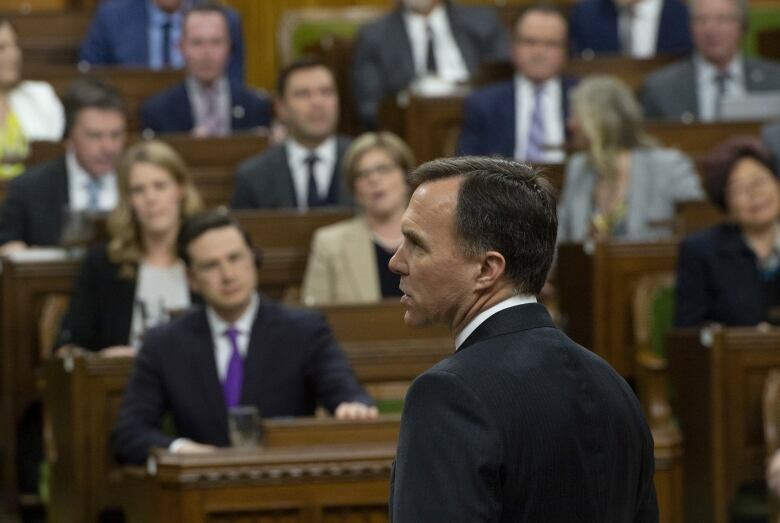 That gentle tribute was not written into the budget speech itself, in which Ottawa was mentioned only in passing and most notably as a hindrance to the province for "unloading a dramatic cost in the form of the carbon tax," according to the finance minister. But detailed budget numbers revealed the critical role the federal government played in rescuing Steeves from recording a deficit in his first budget address — or cutting much more deeply to avoid one. In the legislature, Steeves laid out a simple explanation of how he balanced the books: by limiting increases in spending below increases in revenue. "Revenues are projected to grow by 1.5 per cent for 2019–2020. Our budget demonstrates strong fiscal management by limiting spending growth to just 1.3 per cent," he said. But unmentioned was how virtually all of that $141.3 million growth in revenue was made possible by a $149.5 million boost in federal equalization — the largest single increase New Brunswick has gotten from the program in 14 years and, for its size, the biggest increase going to any province in the country this year. Equalization is paid by Ottawa to Canada's poorest provinces without condition to help provincial governments pay for basic services. The amounts are determined by an economic formula that evaluates a province's ability to pay its own way and after a decade in which New Brunswick's economic growth has been at or near the bottom among provinces, its share of equalization has been rising. This year, New Brunswick is one of only four provinces to qualify for an equalization increase, and it is getting the largest amount — an extra $181 per per person. That brings total equalization in New Brunswick this year for the Higgs government to spend to a record $2.02 billion, or $2,613 per person. Quebec is receiving the second largest increase ($149 per person) followed by Manitoba ($139 per person) and Nova Scotia ($67 per person). Other provinces that have seen their population and economy grow are getting reduced amounts, including Prince Edward Island, which will receive $46 per person less in equalization this year and Ontario, which no longer qualifies for aid and will lose the entire $67 per person it received last year. British Columbia, Alberta, Saskatchewan and Newfoundland and Labrador do not receive any equalization. Finance Minister Bill Morneau delivers the federal budget in the House of Commons in Ottawa on Tuesday. (Sean Kilpatrick/Canadian Press)In Parliament Tuesday, federal Finance Minister Bill Morneau, who also delivered a budget speech, laid out a multi-year plan that will see federal amounts devoted to equalization continue to grow over the next five years which is good news for New Brunswick's plan to keep its books balanced. Although Steeves's budget speech did not specifically mention equalization, it did hint the province's reliance on it would not lessen soon. Economic growth in New Brunswick is expected to be last in the country this year and sluggish through 2023, raising the prospect of more aid coming from Ottawa in the years ahead. "Ongoing trade uncertainty, weaker growth among our major international and domestic trading partners, and temporary weakness in the manufacturing sector are all contributing to slower growth in 2019," said Steeves.